The Campfire Camper insurance done right! There is no disputing the convenience of having all of your assets insured under the one roof – if you can get your home, vehicle, contents, caravan, motorbikes and even pets all covered by the same company and receive hefty discounts, why wouldn’t you!? But your caravan/camper trailer/slide-on/5th wheeler is not just another one of your standard assets. It is your home-away-from-home, and along with your fourbie is your means of ensuring that you can set up camp anywhere your heart desires – home is where you park it! Every day we have more and more people making the switch to Club 4X4 for their touring set-up, even if it means losing some of their multi-policy discounts with their general insurer. Why you ask? Because our product is not comparable in the market that’s why! To introduce our differences, it is best that we first talk about where we are the same. Club 4X4 offers a comprehensive insurance policy, this is really no different than what almost every general insurer offers for your caravan/camper – coverage for accident, theft, weather events, legal liability cover and so on. But you did not come here to read about coverage that you already have, so let’s talk about the features and benefits that were designed specifically for the touring enthusiast. If you got a chance to read our article a couple of weeks back on the non-comparable aspects of our comprehensive 4WD coverage – there is really nothing new for you to learn as to where your caravan/camper is covered. For those of you who did not, it really is very black & white with us; you will be covered anywhere in Australia that you are legally allowed to be. I know what your next question is: but what about tracks that are non-gazetted and cross-country? The easiest way to answer that question is with another question – are you legally allowed to be there or not? If the answer is yes you will be covered, simple as that! How much will we cover you for? I don’t want to sound like a broken record here but similar to my last point, if you read the article a few weeks back you will be familiar with how we value your 4WD and we apply the same principles to our caravan/camper product. However, there are some slight differences which are important to understand. The data that exists for vehicles on guides such as Redbook and Glasses Guide just isn’t available for caravans/camper trailers, plus custom-made campers are so common these days. With this in mind, Club 4X4 can provide a market value policy like anywhere else if you wish, and also have any accessories & modifications covered as an agreed value on top of this. If you would prefer agreed value for the whole lot we can either do agreed value at your purchase price, match your current certificate of insurance, or if you are not happy with any of those values we can match a written valuation from an authorised dealer/repairer to give you the best chance of replacing your home-away-from-home to your specifications. One of the biggest grey areas with caravan/camper insurance is the question of whose responsibility it is to organise the towing of the camper when it has sustained no damage – for example if the vehicle breaks down does your roadside assistance take care of the camper as well? Or what happens if you have the camper set-up at the campsite and you damage your vehicle elsewhere? Unfortunately, in many cases, it is up to you to get your camper towed in these circumstances as most insurers and roadside services will simply make the point that the camper has sustained no damage itself or was not attached to the vehicle at the time. 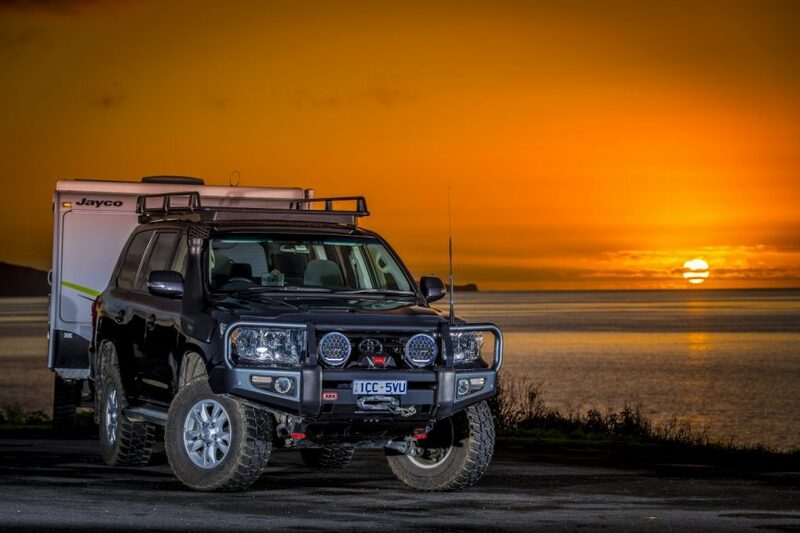 For this reason, every Club 4X4 policy comes standard with an industry first towing allowance of $750 to tow your caravan somewhere safe such as the repairer where the vehicle is, to your home, or in storage. This benefit has a $100 excess and can be used as many times as needed throughout the year up to the $750. There are many more tailored benefits and options to our product such as laid-up cover, discounts for safety features and formal training discounts but the best way to find out is to get a quote. Please call one of our passionate sales team members on 1800 258 249 to get a quote for your home-away-from-home and to ask any questions you may have about our product. Who do you recommend for training? What is the discoount applied to your policy for completing the training? We have an arrangement with Tow-Ed where if you are a customer of ours, you get a discount on their training packages. Once youve completed the training you get a 10% discount on your policy!.